Learn How to Read The Akashic Records! This class will take place September 21, 2019 10:00 am – 5:00 pm and September 22, 2019 12:00 pm – 4:00 pm. The Akashic Records are the archives of your soul and every thought, deed or action it has ever experienced. This class is for anyone curious about the records and what they can gain from opening them. You can take the class to start an Akashic Records Reading career or simply to learn how to open the records for your own personal use. I am a Certified Teacher in the Akashic Records Pathway Prayer Process© by Linda Howe. This means I can teach you how to read your own Records and I can Certify you to be an Akashic Records Practitioner. The Akashic Records are a powerful, spiritual source of supportive, loving guidance and direction. What are the powerful experiences you will have when learning to read the Akashic Records? You will get firsthand experience opening your Akashic Records. You will be able to learn the most effective steps and directions for your deepest happiness and fulfillment. You will receive supportive, loving guidance and clear answers that you can follow. You will feel lighter, calmer, clearer, and more confident. You will experience the joy of becoming spiritually independent. You will be able to tap into a spiritual source of deep personal knowledge that will support you through life’s challenges and obstacles. You will be able to understand who you really are at a soul level. 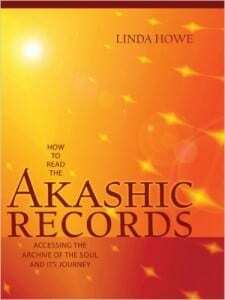 Required Reading for the Certified Beginning Akashic Records Practitioner class is How to Read The Akashic Records by Linda Howe. Anyone looking for clarity and guidance on their next steps to joy, abundance and unconditional love. Anyone wanting to access your own personal spiritual guidance on a regular basis. Anyone that is brand new to spiritual concepts and those that are spiritually well educated. You!! whether you have never opened the Records before or have been opening the Records for years. I am very passionate about the Akashic Records and about Linda’s process of accessing the Heart of the Records through a simple, clear and powerful prayer. Since using Linda’s process for several years, I have experienced deep long last healing and have gained more confidence in my ability to be spiritually independent. I have asked the Records about a very difficult lifelong pattern and was wowed by the information I received. I had no idea how many lifetimes I had been dealing with this issue and felt immediately relieved to learn that not only was there something I could do about it, but that I was not crazy! With the Akashic Records I could finally stop beating myself up and take action using the steps I had been given. Once and for all, I was able to begin to break free from the negative cycle that had been controlling my life and making me miserable. Since becoming a Certified Akashic Teacher at the Linda Howe Center for Akashic Studies. I could not be more excited to share what I have learned with you!